Each day hundreds of Arizona firefighters go to work, putting their personal safety on the line as they respond to the many emergencies in our communities. They are always there when we need them, exhibiting the professionalism and deep commitment that are the hallmark of a firefighter. Each year, when we honor the firefighting community with the annual United Fire Firefighter of the Year Award, we say "thank you" to them. They do so much more than just put out fires! United Fire is honored to be associated with this extraordinary group of courageous and compassionate people. 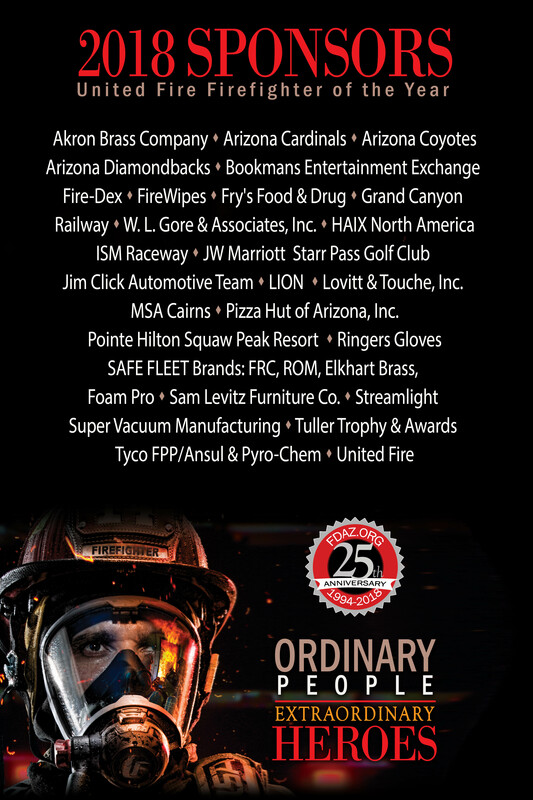 We are grateful partners with our corporate sponsors, who also recognize the importance of the Fire Service and in return demonstrate their commitment by participating in the award program. It is only with the support of these fine organizations that the Firefighter of the Year Award becomes possible. 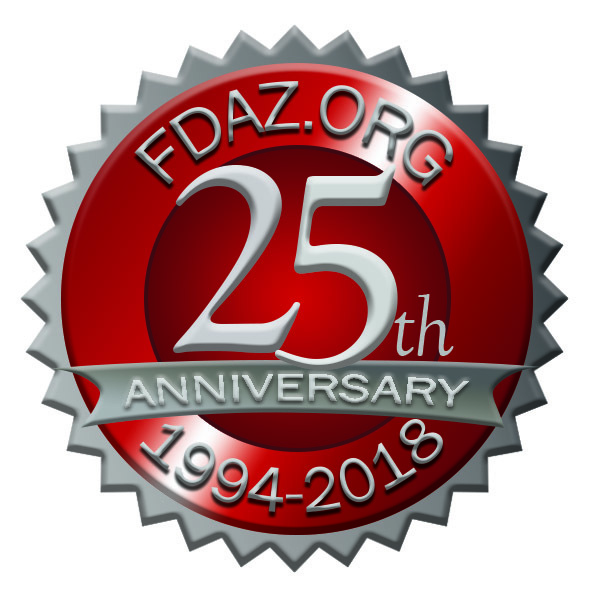 Their generosity is indicative of the corporate philosophy of these companies, and we hope that you will in return demonstrate your appreciation to them by obtaining or using their products and services whenever possible.